Daily Mirror - Local Government Elections What went wrong? Local Government Elections What went wrong? Why the country was divided into two broad ideological camps; and what went wrong for the Govt. ocal government election results point to a significant setback for the coalition government as a whole. Both the leading parties of the regime have suffered heavily, particularly in the Southern districts. The newly formed party under the de facto leader of the former President, which functioned as a proxy for the traditional SLFP was able to capture much of its traditional voter base, forcing the official SLFP to a third place in most areas. The above pattern of voting should not surprise anyone. 2015 electoral triumph of the coalition of the SLFP-UNP was essentially a victory of the liberally minded political forces that transcended ethnoreligious and political party lines. Those who accepted the broad, liberal political agenda presented by the newly formed coalition led by a common candidate, irrespective of their traditional party affiliations, could vote for it. 62 percent of the vote secured by the coalition Presidential candidate by and large represented the liberal voter base of the country. The good governance agenda that was presented to the voters in 2015 represented a program that substantially deviated from the policies pursued by the previous regime. Key elements of the new agenda included (a) rejection of corruption, fraud and abuse of power, (b) restoration of human and civil rights, (c) constitutional reforms to address the grievances of ethnic minorities, (d) strengthening of democracy and political accountability by creating effective oversight bodies to bring about depoliticisation of State institutions, (e) establishment of mechanisms to promote reconciliation and national integration and (f) the adoption of policies to reduce economic and social pressure on low income groups. The agenda clearly deviated from the policies and practices of the incumbent regime; in particular, the latter’s explicit ethnic-nationalist orientation. The former regime that came to power at the height of the conflict mobilised nationalist forces to face the political challenges ahead, both from within and without. Once the war was concluded in 2009, the incumbent President emerged as an iconic figure commanding a large dedicated, Sinhala nationalist political base. His nationalist credentials became stronger over time when liberal political forces began to agitate for national reconciliation and other reforms. The political and other developments following the end of the war need no elaboration here as these have been widely discussed. Suffice it to say that the demand on the part of liberally oriented groups to bring about a change in the way the country is governed became stronger. It is on the wave of growing popular support for political change that the present ruling coalition rode to power. "Local government election results point to a significant setback for the coalition government as a whole"
In other words, the country was divided into two broad ideological camps. The present President, being the common candidate then had to identify with the liberal camp and stood for political reforms. But, this situation began to change when the incumbent President became the leader of the SLFP. Given the long-standing Sinhala -Buddhist credentials of the party and its followers, and the looming political threat posed by the former President, the newly elected President began to appease the Sinhala nationalist forces. Yet, it was not possible for him to convince the nationalists that he could represent their interests. This is what is evident from the recently concluded local government election results. Another major factor that contributed to the decline in popularity of the coalition is the much talked about Bond scam. 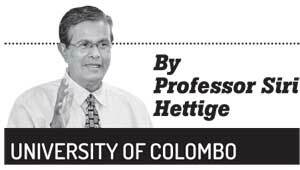 The latter substantially undermined the good governance credentials of the UNP and the credibility of its leader. On the other hand, the growing divisions and in-fighting within the coalition no doubt frustrated many voters, persuading some of them to abstain from voting. The failure of the government to manage the development process in a convincing manner no doubt made the situation worse. Despite the increasing complexity of economic and social issues in the country, those who were responsible for decision making continued to take ad hoc decisions leading to disastrous results. Increasing concentration of capital and labour in the services sector at the expense of agriculture and industry continued to distort the economy. The lack of a national plan for human resource development led to a chaotic situation with respect to labour. All these in turn prepared the ground for the rise of income and employment insecurity, inadequate social protection, exodus of skilled and unskilled labour and wage inflation in the country. "In other words, the country was divided into two broad ideological camps. 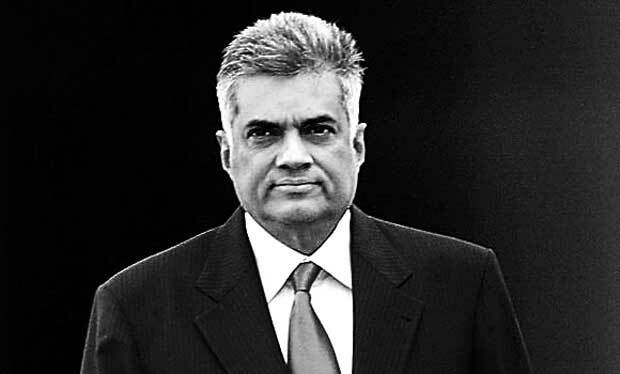 The present President, being the common candidate then had to identify with the liberal camp and stood for political reforms"
In the run-up to the Parliamentary elections in 2015, a large group of intellectuals congregated in Colombo to point out the need to rationalise the government machinery in order to ensure evidence-based policy making in diverse sectors but political expediency prevented the leaders from adopting such an approach and this has eventually led to disastrous consequences in many sectors. Many examples to illustrate this point can be given. An obvious one is the increasingly chaotic situation on our roads. An integrated transport system that gives priority to public transport while discouraging private transport would have reduced the number of private vehicles on the roads giving multiple benefits to the wider public. The lack of any interest on the part of our leaders in integrated development planning has resulted in similar or worse situations in many other areas such as education, health, energy and water. Much of the public and private investments continue to flow into urban infrastructure projects, further marginalising rural and estate areas where the living conditions and income opportunities lag far behind those in urban centres. No one has asked the question as to whether these are the priority areas of investment for a country where the productive sectors of the economy have been neglected for many years. In other words, people in the country could not witness a significant improvement in the way the economic and social issues were managed under the new regime. If no attempt is made to arrest this trend, the situation can only get worse over time, leading to disastrous consequences. In this regard, it is absolutely necessary for the leaders to go beyond a small circle of friends and acquaintances and mobilise expertise around important issues on a rational basis so that effective remedies to pressing problems can be found within a reasonable period of time. While the economy is key, social sectors are as important. Among these, education is the most important because it has wide-ranging implications for development, social justice, and national integration. This is an area where intellectual leadership is critical but is sadly lacking today. There is also an urgent need to improve on constitutional and institutional reforms already commenced with the 19th amendment and other legislation. "In conclusion, it is necessary to point out that the country has reached a critical juncture in the difficult journey towards much desired sustainable and inclusive development, civility, human security and social justice"
In conclusion, it is necessary to point out that the country has reached a critical juncture in the difficult journey towards much desired sustainable and inclusive development, civility, human security and social justice. Many people who have the voting rights do not necessarily seem to understand the need for progressive policies to guide the country forward, while many others are anxious to ensure that the leaders make every effort to go beyond their own whims and fancies, listen to rational voices and adopt evidence-based policies to deal with pressing issues in the country. It is hoped that the leaders rise above their parochial interests and live up to the expectations of the vast majority of people in the country.